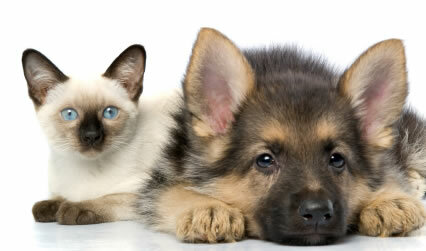 In our last Pet Care article, we explored the concern of osteoarthritis in pets. We made brief mention of Stem Cell treatments that can alleviate the pain, suffering and progression of this debilitating disease. Following on from interest generated around this subject, it seems worthwhile to expand on the topic. WestVETS is pleased to offer patients Adicell™, a patented procedure that uses stem cells derived from fat for the treatment of canine osteoarthritis. Suitable candidates are treated with their own stem cells harvested from fat and injected into diseased joints. Animals suffering from osteoarthritis treated with Adicell™ have shown a significant reduction in pain within 10-14 days of treatment. Dogs can continue to improve over a 6 month post treatment period and the duration of effect is long term with those animals treated initially in 2008 requiring no further treatment to date. Over 400 dogs with osteoarthritis have been treated with Adicell™ in Australia since March 2008 with very good success. Greater than 80% of dogs showed significant improvement following treatment with less than 10% of patients failing to respond adequately. Recently case selection has become more stringent and results are likely to reflect this with even higher success rates. Similar success rates have been reported by VetStem, a company in the USA where thousands of dogs have been treated for osteoarthritis with adipose derived stem cell therapy. The Adicell™ procedure utilises adult stem cells as opposed to the controversial embryonic stem cells. Adult stem cells are found in particularly large numbers in fatty tissue. These stem cells have the ability to differentiate into connective tissue cell types, providing support and affecting the immune response, providing an anti-inflammatory effect. You might expect that the improvement seen is the result of regeneration of the articular cartilage, however the response to treatment in dogs is so rapid that it is more likely to be due to the anti-inflammatory effects of the stem cells. The prolonged duration of effect is thought to be a consequence of the cells’ ability to implant within the joint as well as their capacity for self renewal. During the Adicell™ procedure 20-40 g of fat is harvested from the groin area under general anaesthesia. This fat is processed in our inhouse laboratory at WestVETS to isolate the stem cells which are injected back into affected joints. The Adicell™ procedure allows us to harvest sufficient cells to treat multiple joints at the same time with no extra cost. For this reason we recommend all Adicell™ candidates have a full series of screening xrays taken to identify subclinically affected osteoarthritic joints that would benefit from treatment. If you think your pet may be candidate for stem cell therapy please don’t hesitate to phone us for further information. We can alleviate your pet’s arthritic pain today!